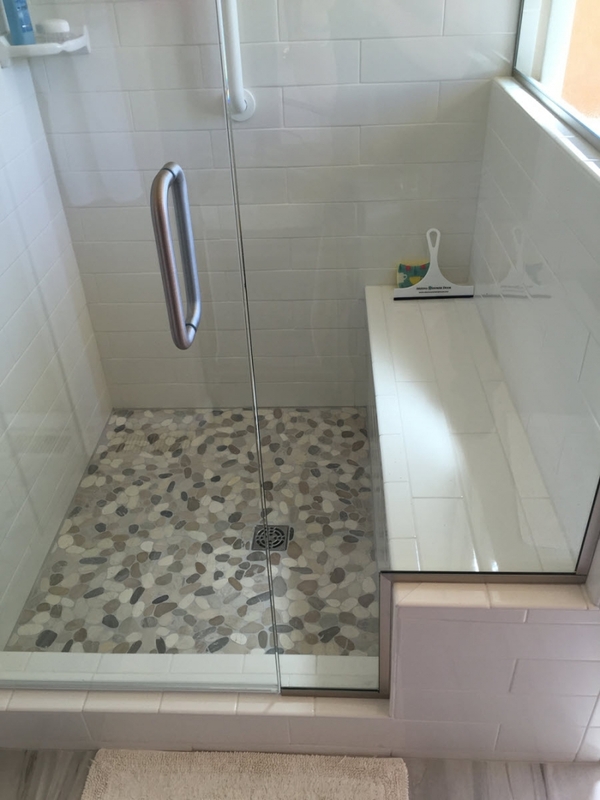 The morning shower commute is pure pleasure here. 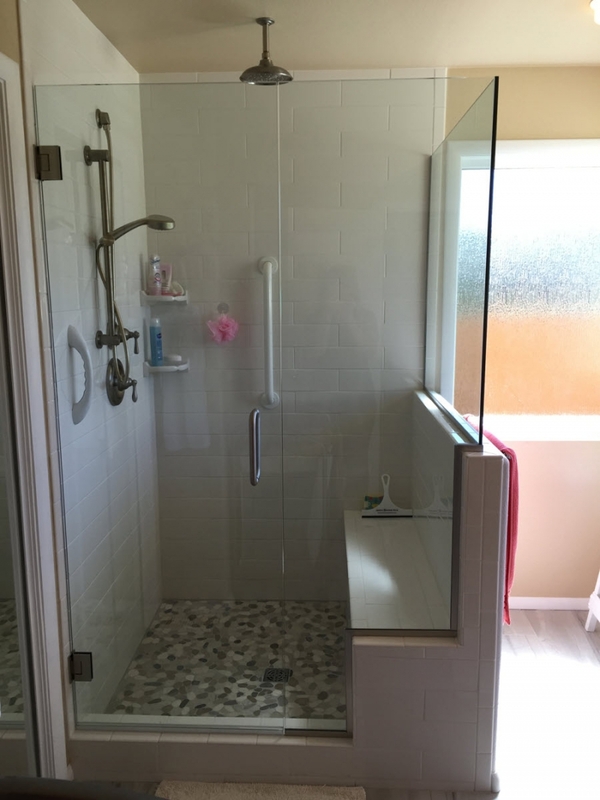 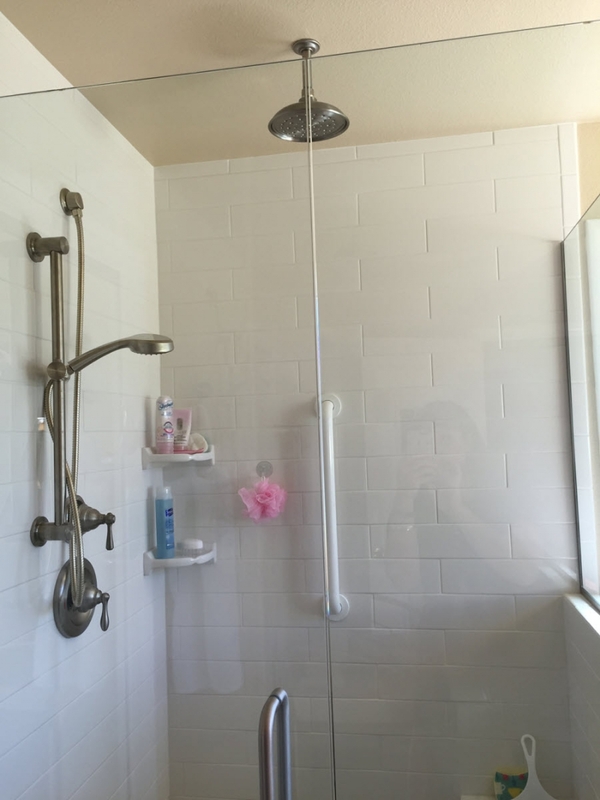 The shower sports a ceiling mounted head and wall mounted handheld, along with a bench and custom glass surround. 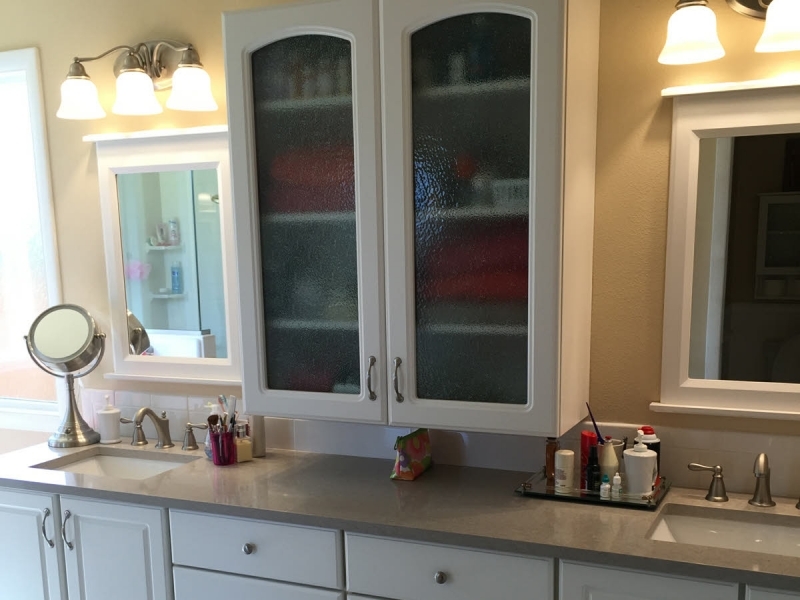 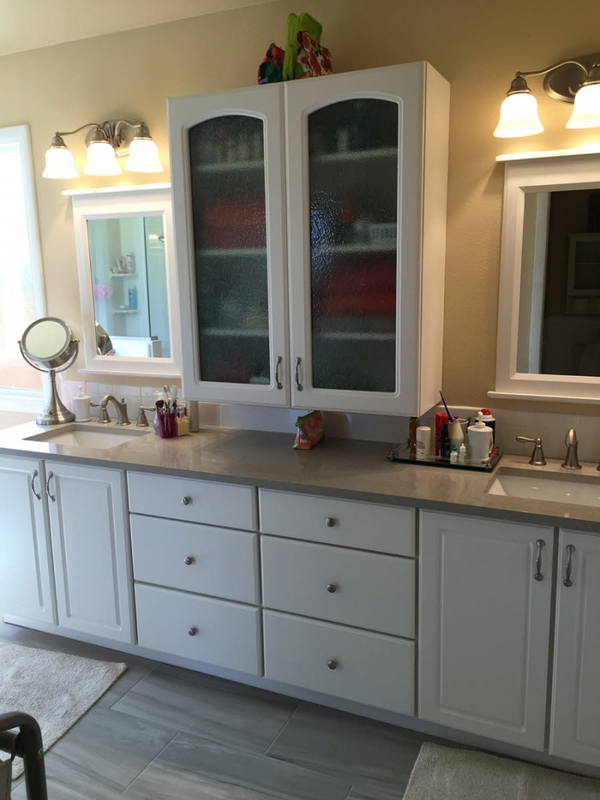 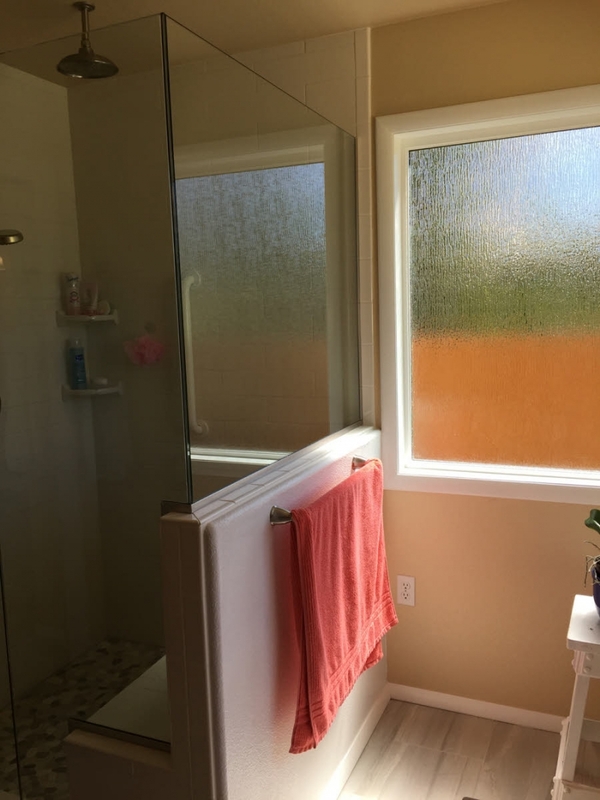 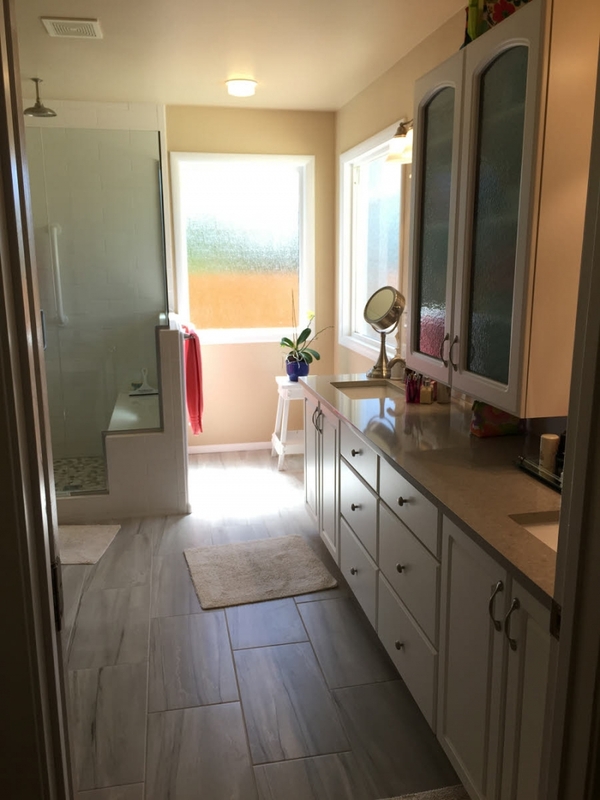 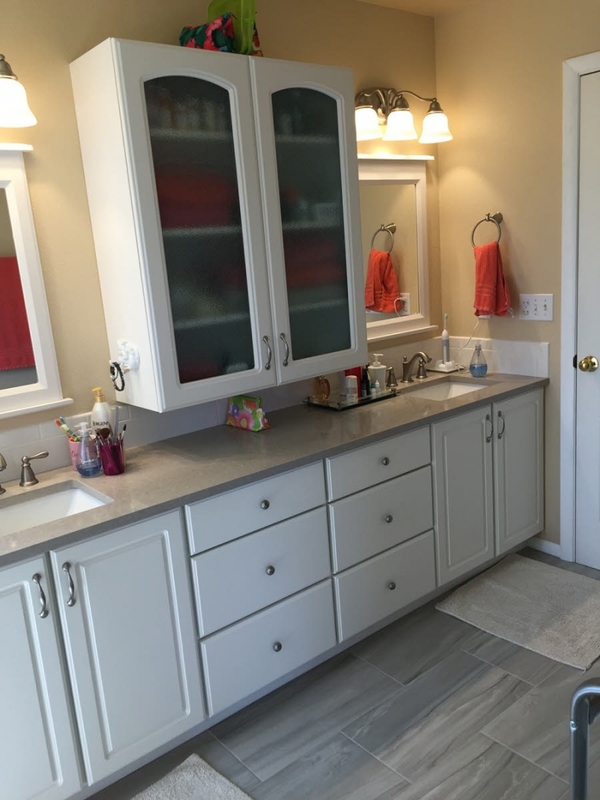 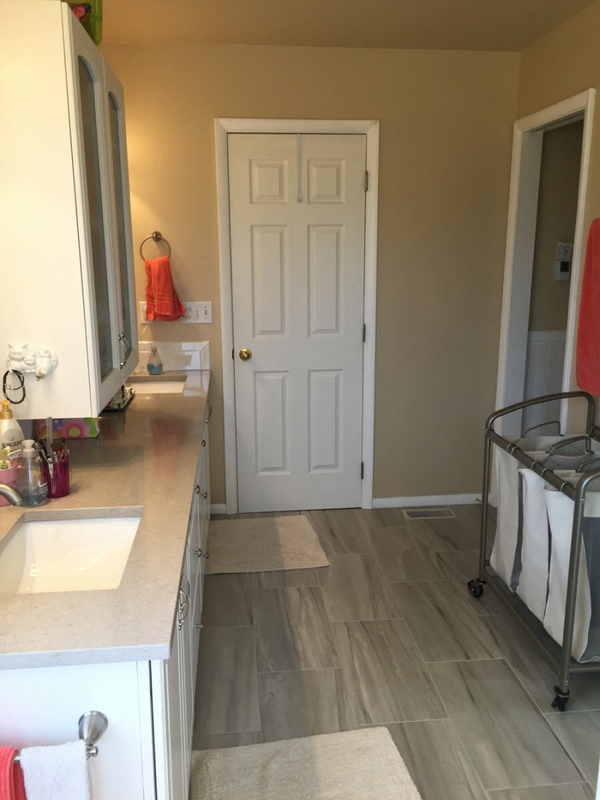 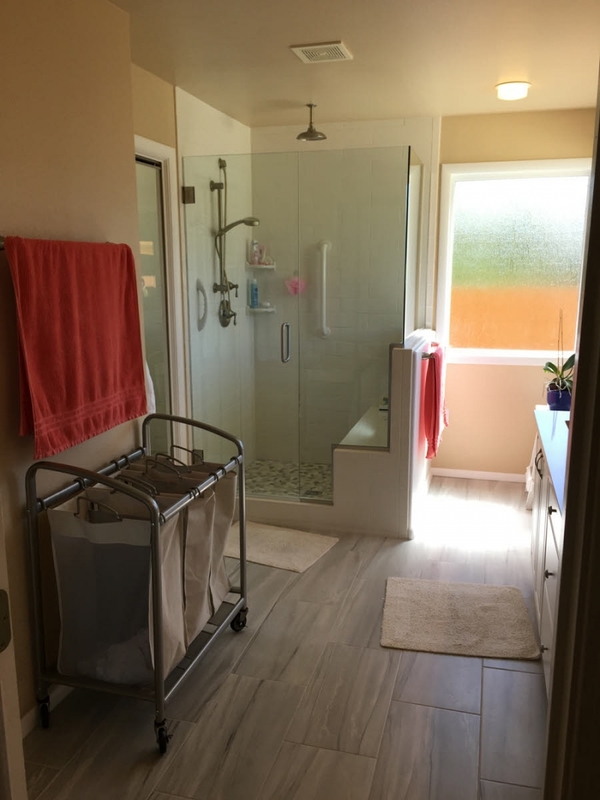 The heated tile floor makes stepping out of the shower just as wonderful, and white vanity cabinets (pre manufactured) with quartz countertops and undermount sinks add functional style.